Ahead of D23 Expo in July, The Walt Disney Company has announced the Marvel Studios Pavilion, which will feature an array of props and costumes from the studio’s upcoming slate, including Thor: Ragnarok, Black Panther, and more. LEGO Marvel Super Heroes 2 – The all-new, original adventure and sequel to the smash hit LEGO Marvel Super Heroes. Bringing together iconic Marvel Super Heroes and Super Villains from different eras and realities, along with signature LEGO humor, the latest epic adventure from TT Games transports players into a cosmic battle across myriad Marvel locations ripped from time and space into the incredible open hub world of Chronopolis. Marvel vs. Capcom: Infinite will offer attendees hands-on opportunities with the next era of the highly revered action-fighting game series. 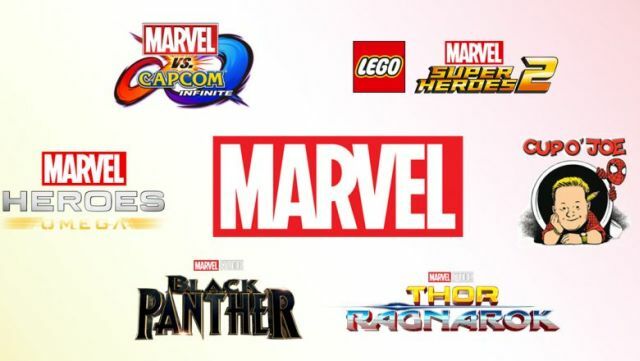 Marvel and Capcom universes collide like never before as iconic characters team up for action-packed player-versus-player combat. Marvel vs. Capcom: Infinite features a variety of exciting and accessible single-player modes and rich multi-player content for new players and longtime fans alike and will be released on September 19, 2017, for PlayStation 4, Xbox One, and PC. Marvel Puzzle Quest is where the best in match-3 puzzle gameplay meets Marvel’s biggest Super Heroes and Super Villains in the most epic puzzle adventure game available on your phone, tablet, and PC. Marvel Puzzle Quest combines favorite Marvel characters with deep RPG leveling, player-versus-player tournaments, Alliances, and much more. Guests can unleash their inner Super Hero and wage war against their enemies. Marvel will also present incredible panels during D23 Expo, including the fan-favorite Cup o’ Joe on Friday, July 14, at 1:15 p.m. in the D23 Expo Arena, featuring Chief Creative Officer of Marvel, Joe Quesada, in a no-holds-barred panel of everything Marvel. That same day at 6 p.m. on Stage 28, Marvel Animation presents a surprise-filled panel of sneak peeks, special guests, exclusive footage, and big announcements about the future of Marvel Animation on Stage 28.